Lisa Michaels was born in Newark, N.J., to young civil rights activists who met at Cornell. Her father was a member of Students for a Democratic Society and Weatherman, and spent time in prison for his part in a protest against the war in Vietnam. Her mother and stepfather traveled around the country in a mail truck before settling in a Northern California town to teach school and grow vegetables. Lisa did her undergraduate degree in history at U.C.L.A, and an M.F.A. in poetry at Mills College. A former editor at The Threepenny Review, she is the author of a memoir, Split: A Counterculture Childhood, named a New York Times Notable Book of the Year. Her first novel, Grand Ambition, based on a true story of a pair of newlyweds who tried to raft down the Grand Canyon in 1928, was named a Los Angeles Times Best Book of the Year. Grand Ambition was chosen by Booklist as a “top ten first novel of the year” and nominated for a Bay Area Book Reviewers Association award in fiction. 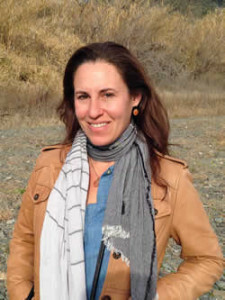 Lisa has written for Salon, Tin House, the New York Times Magazine, and Condé Nast Traveler. She lives in Healdsburg with her husband and twin sons. © 2019 Lisa Michaels. All rights reserved.